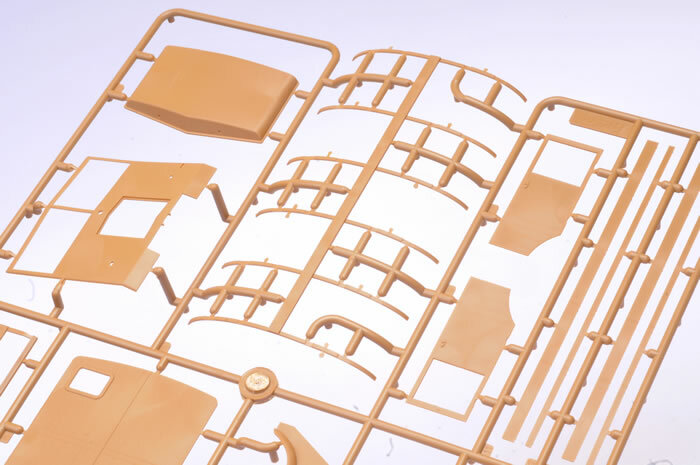 Media and Contents: Truck - 164 parts in dark tan plastic; nine parts in clear, 8 vinyl tyres. 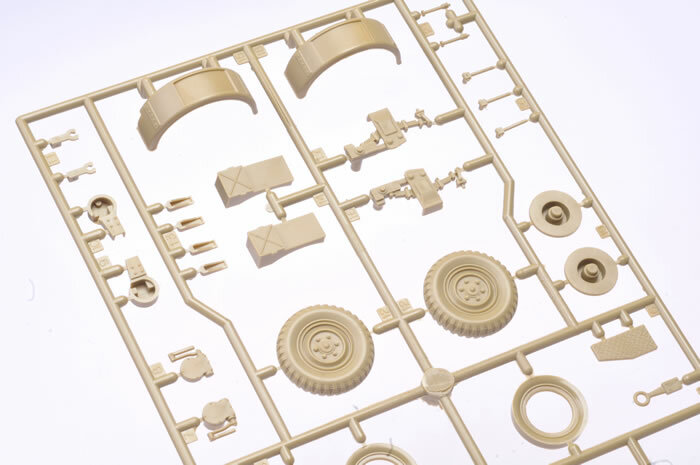 3.7cm FLAK 37 - 89 parts in pale khaki plastic. 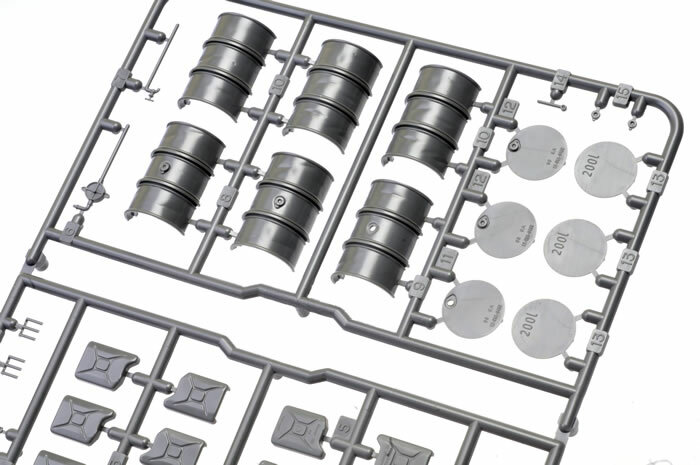 Four seated figures; two sprues of jerry cans, fuel drums and accessories; markings for four vehicles. Advantages: Nicely detailed truck; appropriate packaging of vehicle, gun, figures and accessories. Recommendation: This should be an interesting “diorama-in-a-box” project. Although the gun and the figures date from the late 1980s to late 1990s, they stand up reasonably well today, while ICM’s 3.5 ton AHN truck is very nice – I just hope someone releases a set of resin replacement tyres! The Renault AHx was a range of light/medium trucks with carrying capacities from 2 to 5 tonnes manufactured by Renault between 1941 and 1947. Various versions were used in World War II by the German forces. Prototypes of the first AHx truck, the AHS2, were unveiled by 1939. It was aimed at replacing the similar AGC truck, which had a maximum payload of 1.5 tonnes. The truck was designed to be used by the French military on the 2.5-tonne carrying capacity group, but it was rejected. The Wehrmacht in turn ordered the production of the model, reclassifying it as a 2-tonne payload model and naming it Lastkraftwagen 2 to. The AHN (4-tonne payload) was the successor of the AGR and was produced for the Wehrmacht with the designation Lastkraftwagen 3.5 to. The heaviest AHx model, the AHR, was produced with a 5-tonne payload and, as the two other versions, was used by the Germans. The Wehrmacht was supplied with about 23,000 AHS, 4,000 AHN, and between 1,000 and 2,000 AHR. After the war, evolutions of the AHS2 and AHN (AHS3/AHS4 and AHN2/AHN3) with 2 and 3.5 tonnes of payload respectively, were produced mainly for the civilian market. In 1947, these trucks were replaced by the Renault Galion. The AHx cabin was also the basis for a 7-tonne payload truck, the Renault 208 E1. The AHS was fitted with a 2.38-litre inline-four petrol engine (delivering 52 metric horsepower (38 kW)) while the AHN and AHR use a 4.05-litre inline-six petrol unit, the latter with a power output of 75 brake horsepower (56 kW). The three models had a 4-speed manual gearbox. Both the Renault AHS and the AHN have gasifier-equipped versions using engines similar to the petrol versions. The AHS version (AHSH) has a power output of 35 metric horsepower (26 kW) at 2,800 rpm while the AHN version (AHNH) has a power output of 52 metric horsepower (38 kW) at 2,800 rpm. 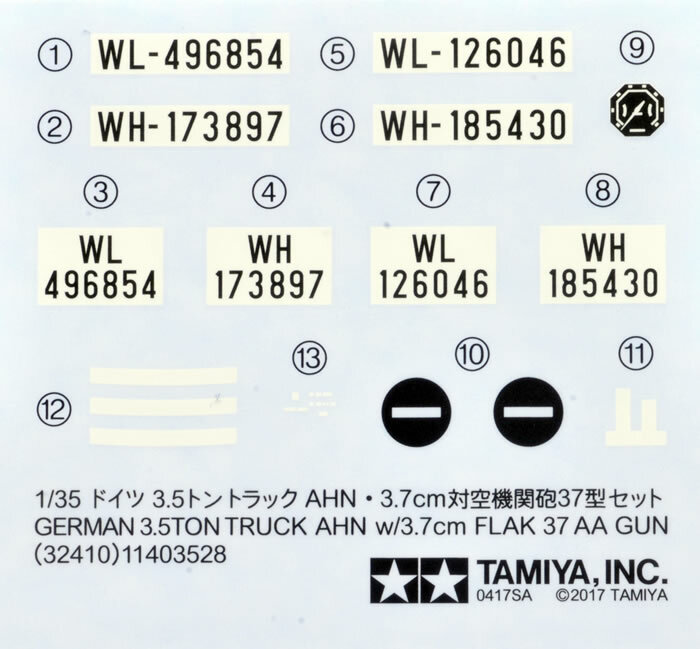 Tamiya’s latest mix-and-match re-boxing is their 1:35 scale “1:35 German 3.5 ton Truck AHN w/3.7cm Flak 37 AA Gun”. 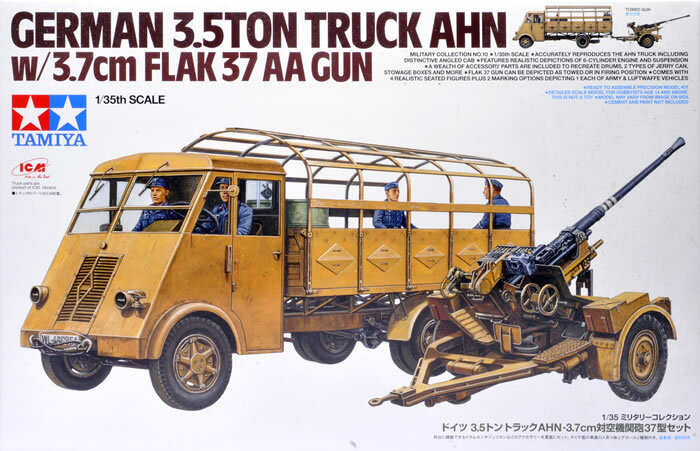 The AHN truck was originally produced and released by ICM in 2014. 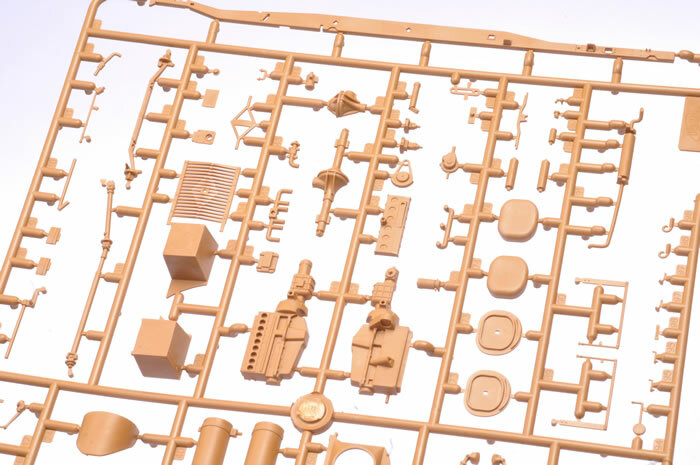 The truck comprises 164 cleanly moulded in a dark tan coloured plastic parts, nine parts in clear plastic and eight vinyl tyres, although I confess that when I opened the box it looked like the parts count might be much higher (I was relieved that it was not). The truck features full engine and chassis detail and a cab that includes separate doors that may be posed open or closed. 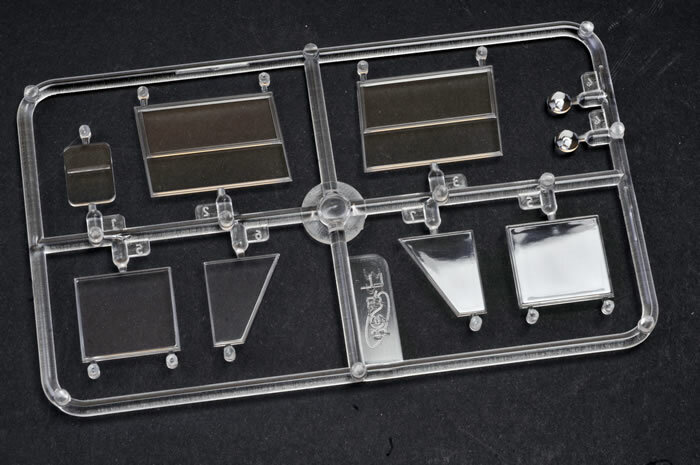 Clear parts are included for the windows and lights. 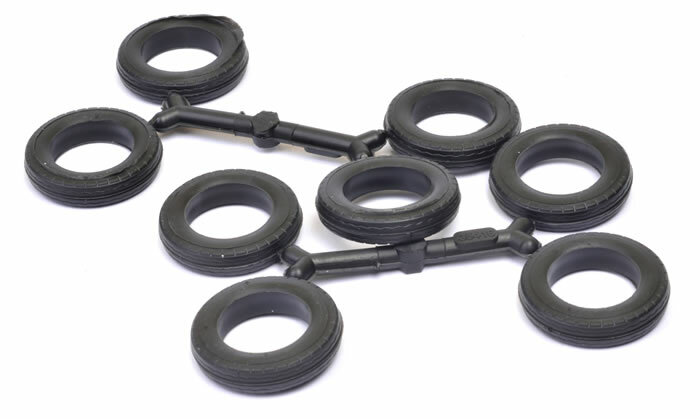 The tyres are soft vinyl with prominent raised centreline seams that may be tricky to eliminate. They are also undersized. 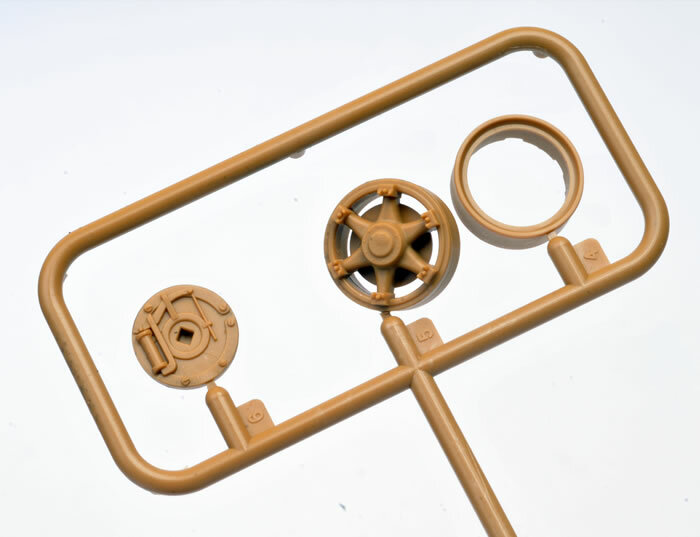 Next in the package is Tamiya’s own venerable 3.7cm FLAK 37 gun. This kit was first released in 1989. 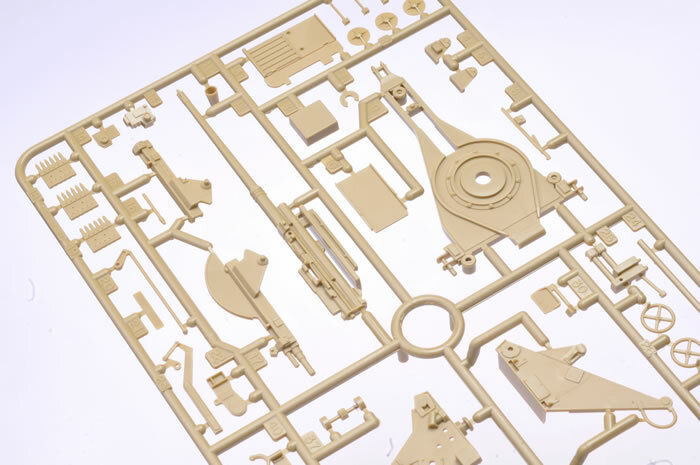 It is simple, but that means it will be fast and easy to build and detail is still quite respectable. 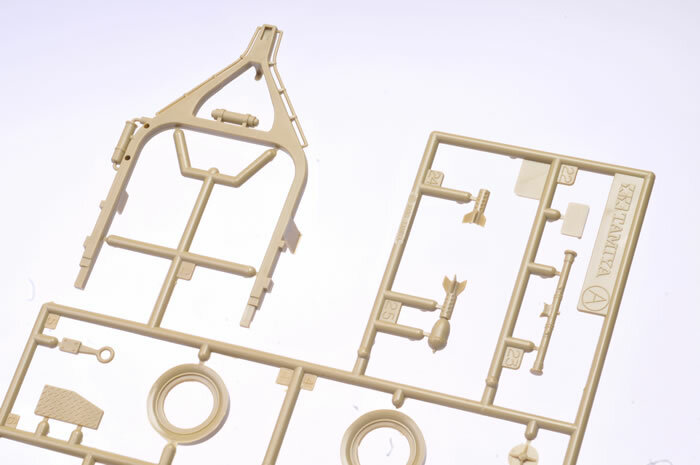 The Flak 37 is made up from 89 parts in a pale khaki-coloured plastic. 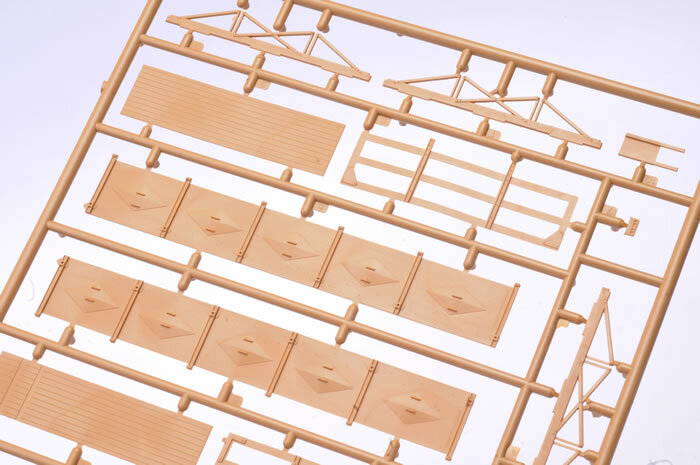 Tamiya includes four seated figures from a couple of sets, all dated 1999. Two of the figures are destined for the cab, and two are chatting in the back. 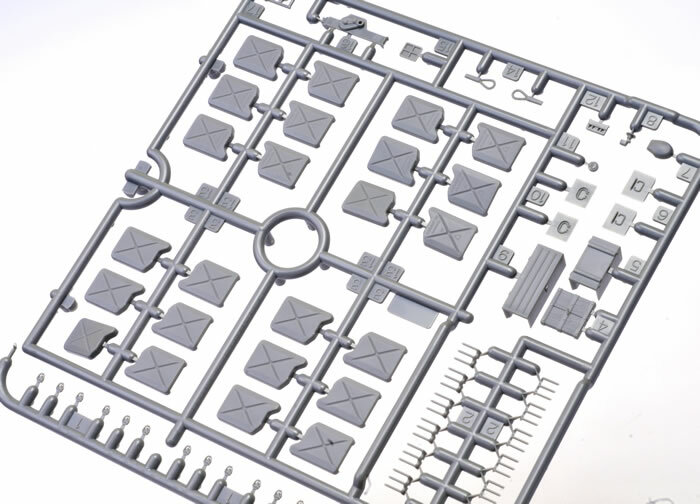 Also supplied are two grey sprues of jerry cans, drums and accessories. 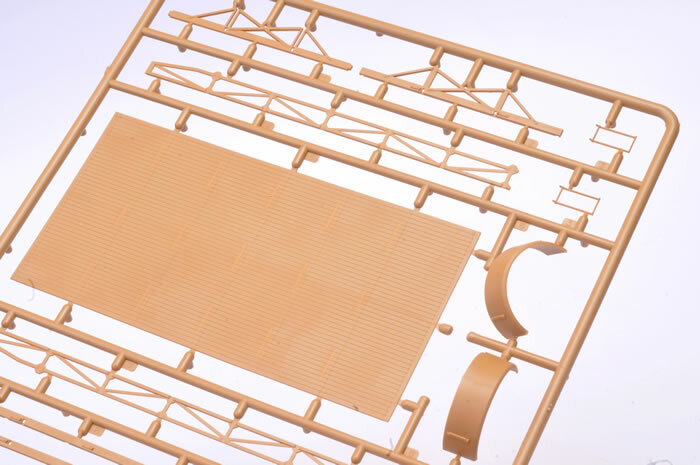 Markings are supplied for four vehicles – two Wehrmacht and two Luftwaffe. Decals are in register and well printed. This should be an interesting “diorama-in-a-box” project. Although the gun and the figures date from the late 1980s to late 1990s, they stand up reasonably well today, while ICM’s 3.5 ton AHN truck is very nice – I just hope someone releases a set of resin replacement tyres!